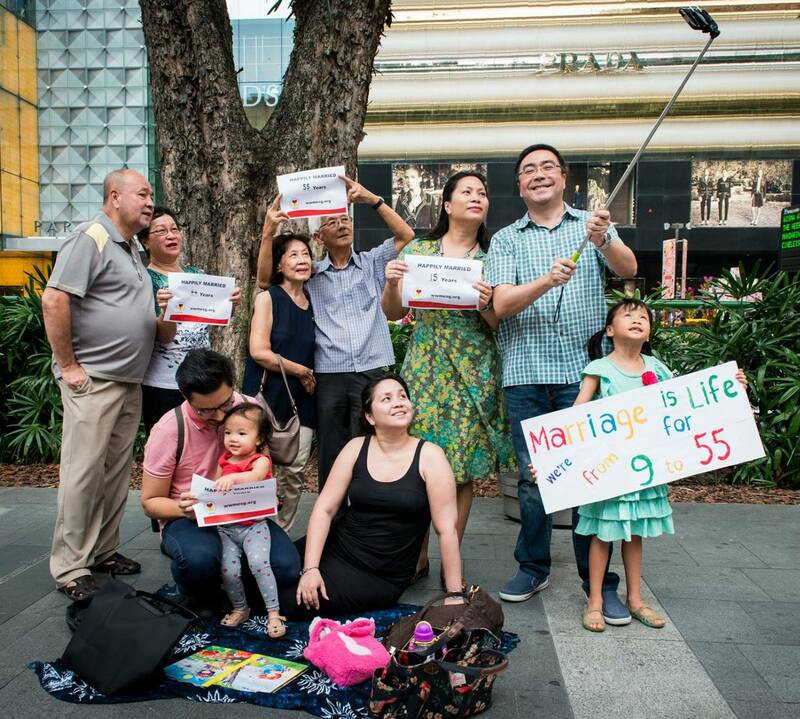 Christina and Edmund Bong, the heads of Worldwide Marriage Encounter Singapore, striking a proposal pose along Orchard Road to mark World Marriage Day. All photos courtesy of Worldwide Marriage Encounter Singapore. Suelynn and Kenneth Koh have been married for 19 years, and for the past seven, they have celebrated their covenant by acknowledging its everlasting aspect. 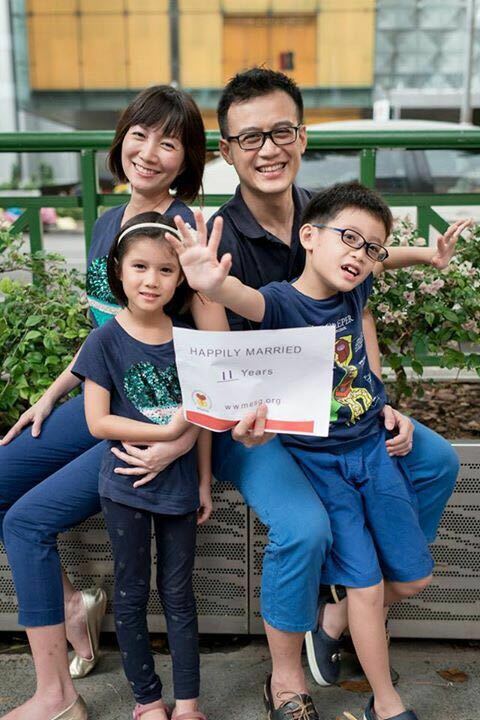 Since 2011, the Kohs have joined other couples along Orchard Road to mark their union in a ‘freeze flash mob’ – posing still for five minutes while holding signs stating how long the husband and wife have been married for. The Worldwide Marriage Day Freeze is organised by Worldwide Marriage Encounter (WWME), an international Catholic organisation that aims to help couples strengthen their relationship through marriage courses. 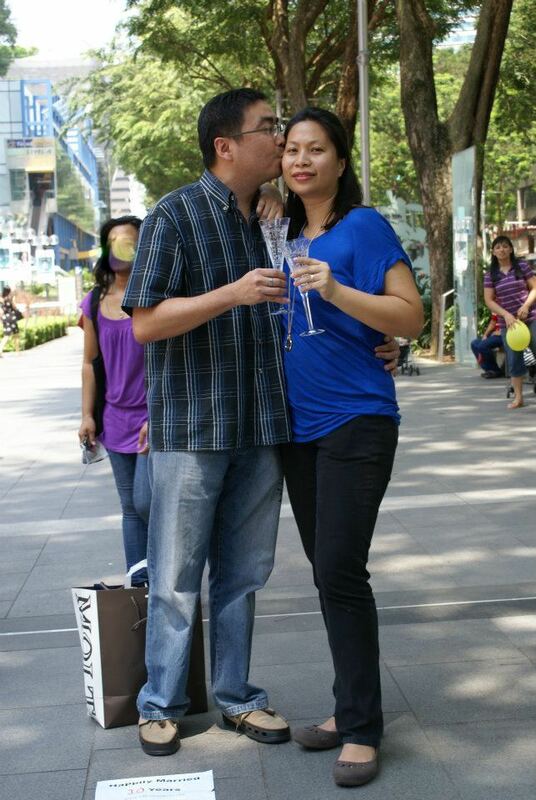 In 2011, Suelynn and Kenneth posed with champagne glasses in hand to honour their 10th year of marriage. The team at WWME Singapore first mooted the idea of a flash mob in 2011 after noting the rising divorce rate in Singapore, says Christina Bong. She and her husband Edmund currently head WWME Singapore. The institution of marriage for life, as established by God, seemed under threat. 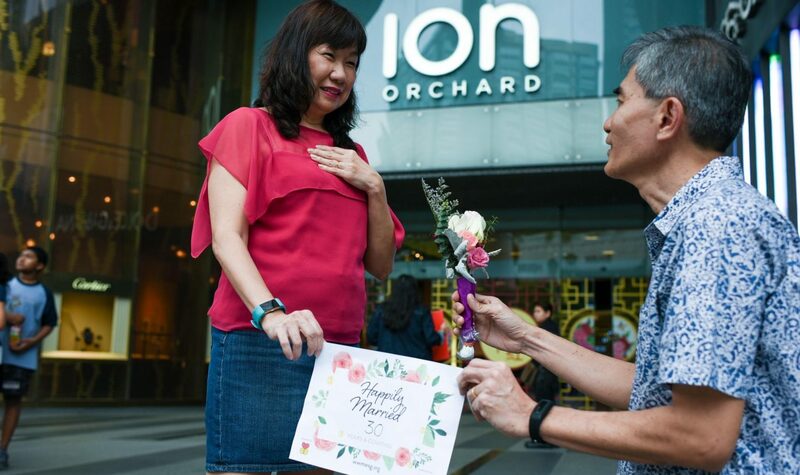 WWME Singapore felt they needed a public platform and appropriate time to convey the message of honouring a lifetime marriage, and decided to hold it on World Marriage Day, which falls on the second Sunday of February and is close to Valentine’s Day in Singapore. 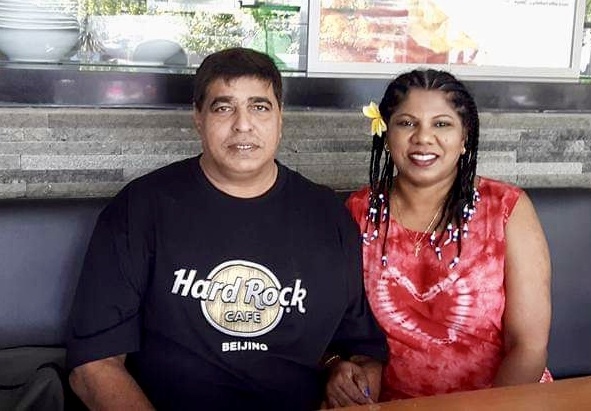 World Marriage Day Freeze also honours husband and wife as the foundation of the family. The day also honours husband and wife as the foundation of the family, and “salutes the beauty of their faithfulness, sacrifice and joy in daily married life”, Edmund says. The team decided to launch the initiative at Orchard Road, which they knew was a popular place for couples to gather. The first year saw a turnout of only 50 couples. 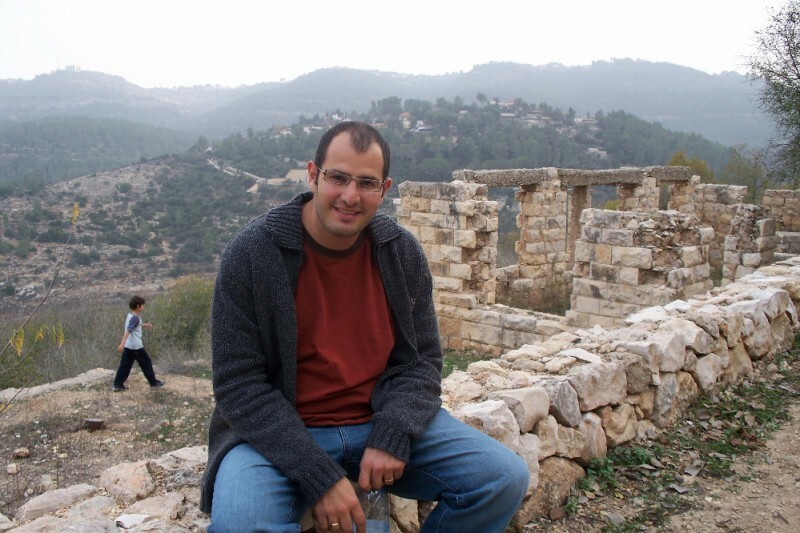 By 2018, there were 300 people, including the couples’ children and parents. After their first ‘freeze flash mob’ as a family of three, the Kohs decided to rope in both their parents and siblings. Suelynn and Kenneth participating with the other members of the family in 2015. Suelynn and Kenneth during the 2017 run. 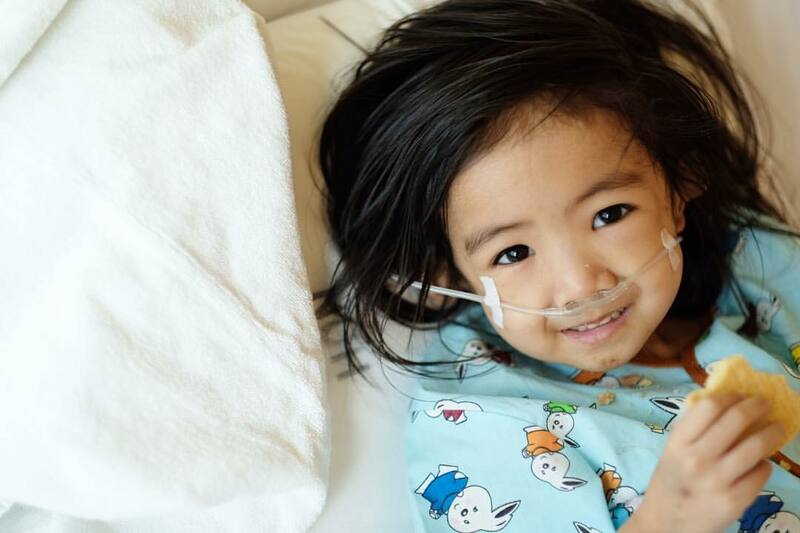 One year, as a sign of their commitment, Suelynn’s mum and dad showed up in crutches and a wheelchair as her mum had recently fractured her leg. Christina remembers that during the first run, there was a couple who had been married for 55 years and another just married for a day, standing side by side. Another pair who had been married for 48 years showed up, with the wife in a wheelchair. Discussing the sorts of poses they could come up with is a bonding exercise in and of itself. Michael Leong and Tee Hun Ching have taken part in the ‘freeze flash mob’ since 2015. The duo, who have been married 15 years, both say that this public display of affection, done in a fun way, brings the family closer together. Discussing the various sorts of poses is a bonding exercise in and of itself. And the public do take notice as the participants attempt to make the most creative expression of love and commitment. 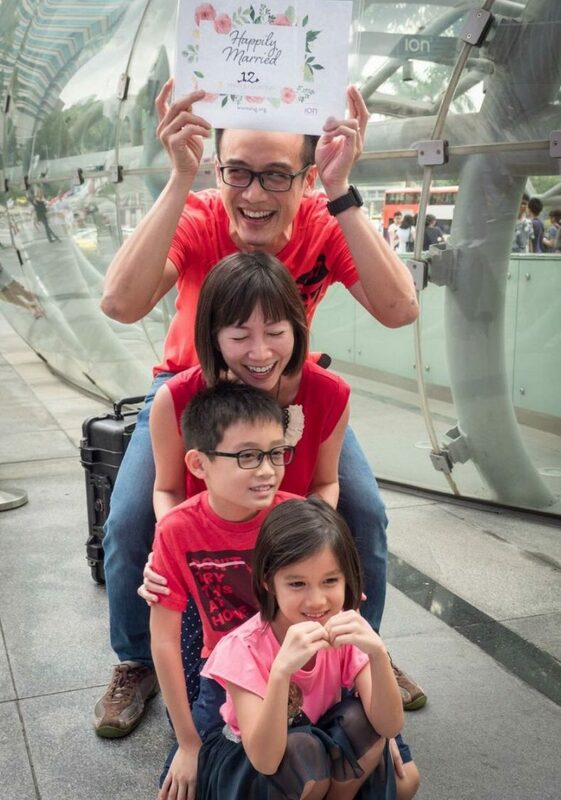 Michael Leong and Tee Hun Ching with their two children at the ‘freeze flash mob’ in 2016. Michael Leong and Tee Hun Ching in 2017. “We do get curious stares but most people would smile as they see the couples freezing,” says Christina. They have also had couples asking to jump in and have their photos taken. 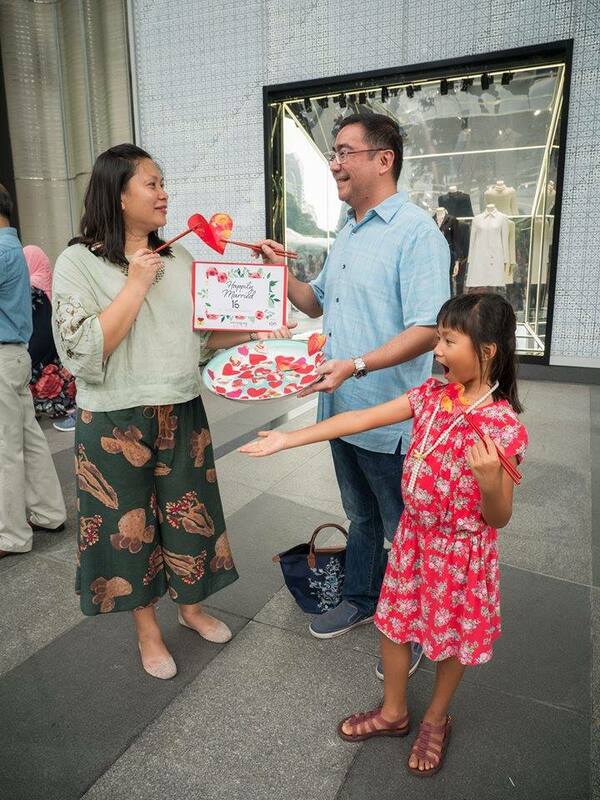 Over the last two years, 10 other WWME communities in countries including Australia, Belgium, Ecuador, Guatemala, Italy and Spain have joined Singapore to mark World Marriage Day with a five-minute “freeze”, Edmund adds. Besides using the event to instil hope in couples that lasting, loving and life-giving marriages are possible, WWME also wants to raise awareness of a marriage programme called the Marriage Encounter (ME) Weekend. The ME Weekend helps couples to re-evaluate their roles as husband or wife, and God’s plan for their lives.